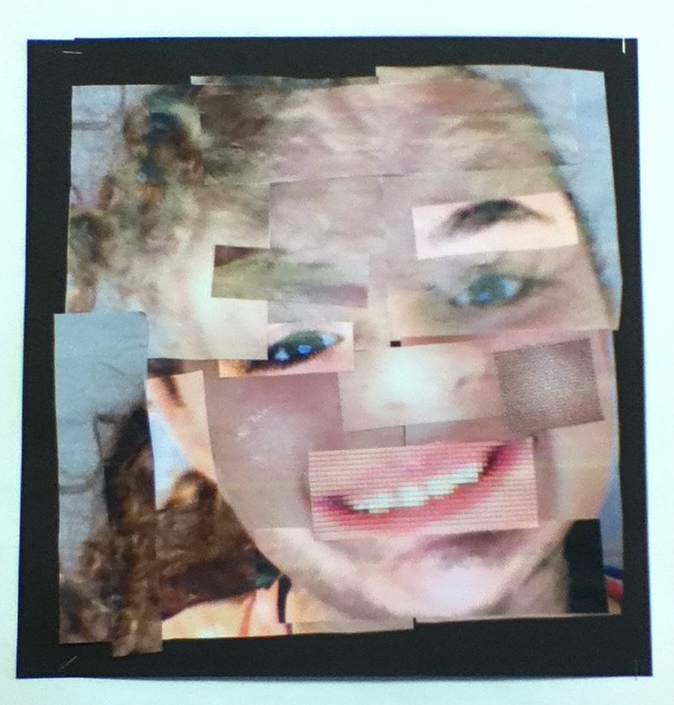 Fifth Grade art activity students had a fantastic time exploring Adobe Photoshop filters as they created these wild digital self-portrait collages. 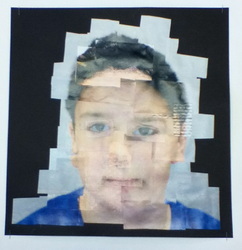 Their assignment was to explore different filters to manipulate and distort ten or more different facial features. 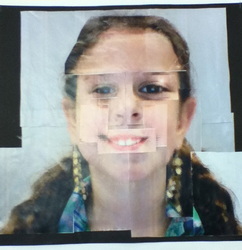 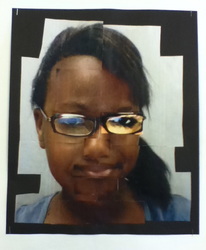 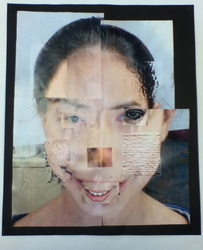 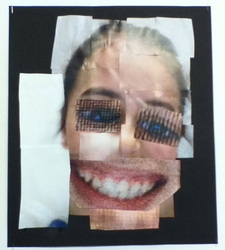 Students learned a great deal about how to explore technology and art through the programs Photoshop and Photo Booth. They learned how to resize images, crop, save, use selection tools, and use a variety of filters to create different visual effects. 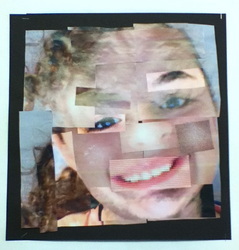 Once the children had created different effects for many of their specific facial features they were printed out and finally cut and rearranged to create these abstract reconstructed versions of the students. The children did an outstanding job with this project exploring technology in throughout the creation and manipulation of their artwork.